Bring your designs to life onstage. Build sets, call cues, and more! Learn the fundamentals of scenery, lighting, sound, costumes, and props design. Put your organizational and problem-solving skills to the test as a stage manager! Attend production meetings, collaborate with directors, and work with fellow designers. Operate power tools, sewing machines, light boards — the possibilities are endless! Our Technical Theatre department is run on the principle that the campers are in control of our productions. 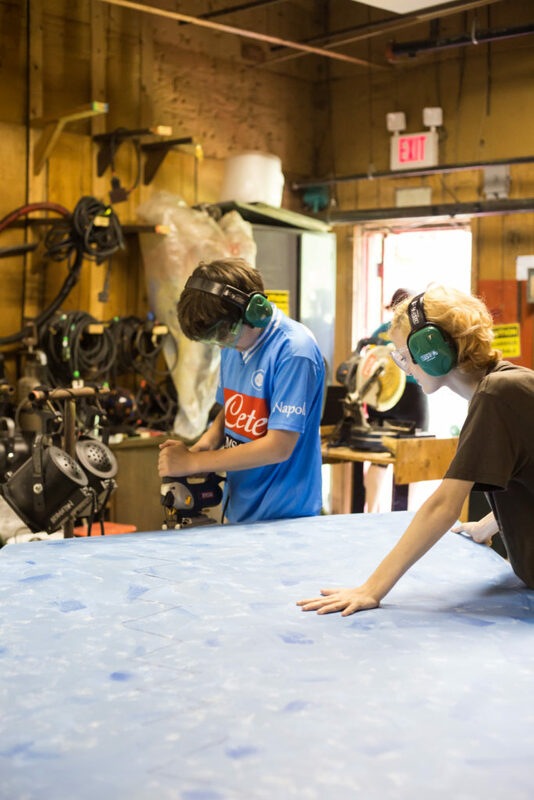 Shows are primarily designed, managed, and executed by campers–from set construction and costume design to light board operation and cue calling! Campers in the Technical Theater program learn about theatrical design for sets, lighting, sound, props, and costumes. 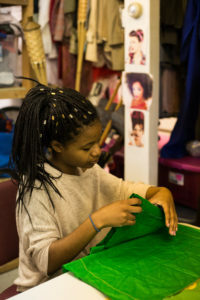 They become lighting designers and light board operators; sound designers and sound board operators; properties designers and properties crew; costume designers, seamstresses, tailors, and dressers; set designers and construction crew, stage managers and run crew. Once a week, designers and stage managers will attend production meetings with directors to discuss the progress of their shows. Stage managers learn the art of blocking notation and taking rehearsal reports, and they observe rehearsals a few times a week to prepare for performances. Design and construction teams learn safety protocol, how to use equipment, and spend weeks creating the perfect show! 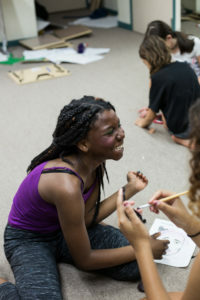 For campers who are interested in learning the basics of technical theatre, we offer wonderful classes in the afternoon that is a great introduction to our program! The Technical Theater Department updates its class lists every summer to highlight the unique strengths of our expert instructors. These classes teach the basic essentials of behind the scenes to work in a fun and supportive environment. Our Technical Theatre department works closely with our Concert Committee to offer a gorgeous season of evening performances, including Friday Night Concerts! With every concert comes plenty of Run Crew opportunities for all campers, regardless of their experience in Technical Theatre. They don’t even have to be enrolled in a tech class to participate! Campers will attend technical rehearsals, learn proper backstage etiquette, practice the transitions between acts, and run the shows. Don’t forget the black clothes and closed-toe shoes!